Needless to say after Day 2 Sunday was a bit of a wash out! I did have some interesting conversation with some German entrepreneurs at the German house but that was about it. Both Monday and Tuesday were however more eventful. 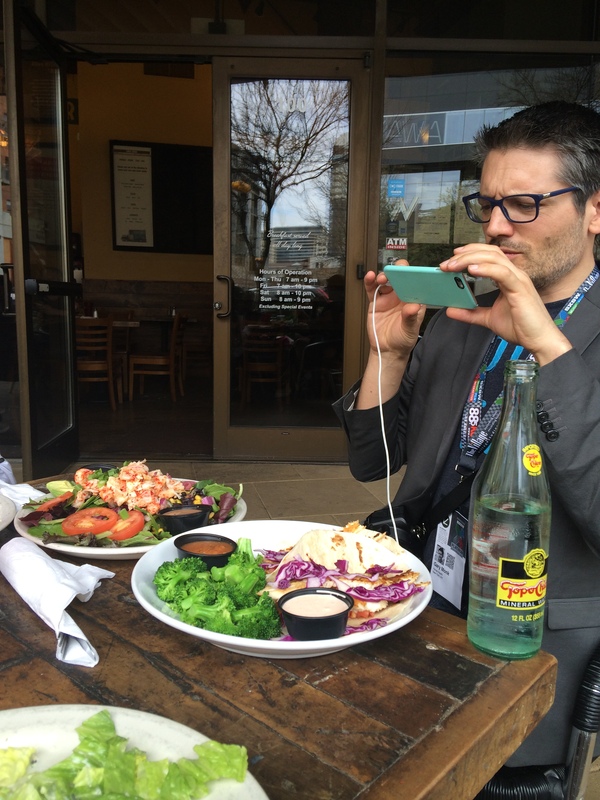 For starters there was a lovely lunch with the #hcsmeu gang, by now also including Gary Monk, which really highlighted for me one of the great things about SXSW – the opportunity to hang out with some really awesome people. I also went to a couple of very cool sessions including one on Augmented Reality, a technology that once had a very “shiny” factor but never seemed to have really taken off. I have always been a bit disappointed by this as beyond the shiny factor I always saw AR as a format with high potential. Well it turns out AR is apparently finally coming into its own. The session demonstrated some fun examples but also a very pragmatic and useful example from Argos, who are using AR to enhance and keep their paper copy catalogs up to date with the latest offers. This was a great example of mixing “cool” (you can “try” on watches via AR and the catalogue) and functional (hovering over items you can see if there are any current latest offers). I loved it! I also found the statement that AR is going to become the new search intriguing. Whether it will or not remains to be seen. Nearly as cool as the session though was the pedicab ride back to the main convention area with Wonder Woman! 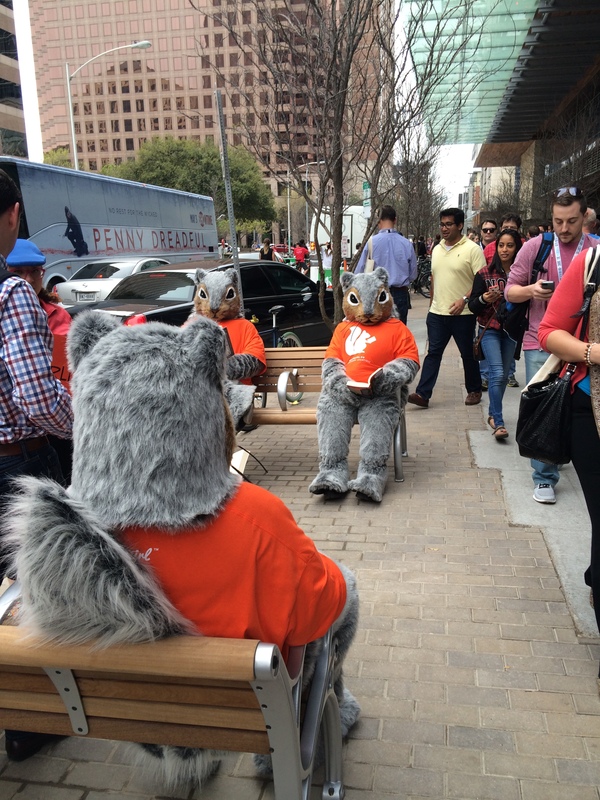 I loved this other part of SXSW – all the interesting and crazy things going on in the streets, like the dressed up pedicab drivers or the squirrels promoting a book app. Those squirrels were cool. 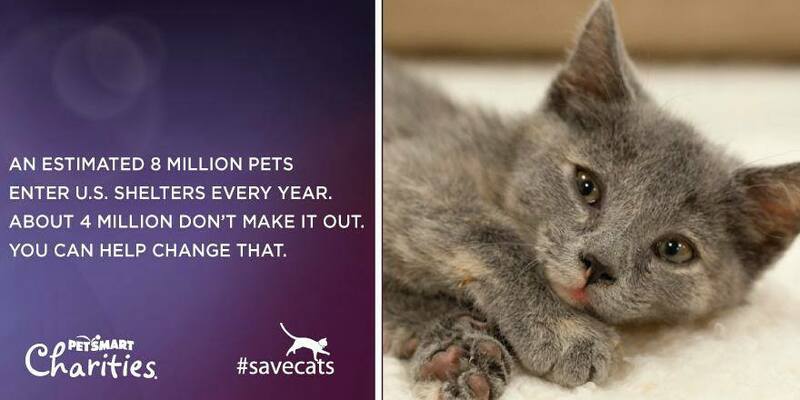 Another session I just had to go to was another cat-related one called “CATastrophe: Good, Bad and Ugly of internet cats” with Jackson Galaxy and PetSmart, and which was all about what we as cat owners and lovers can do to help increase the number of cats getting adopted from shelters. It was actually a fantastic session as unlike all the others I had been to this one was more interactive and involved more of a dialogue around some of the key topics. Petsmart shared some fascinating research into pet ownership and cat owners, and the perception people have of them, and people in the room shared their perspectives and stories. I did not come away with the ideas for fundraising for my own charity that I had hoped for but I still found the session well worth going to. The other thing I ended up doing on Monday and Tuesday was to have a look at the exhibition rooms. I went round the Med Tech one but was left uninspired. While the likes of Withings were there they were not showcasing what I considered to be some of their more interesting products. A panel on women leaders in digital was also hard to follow as it took place in the very noisy main room. 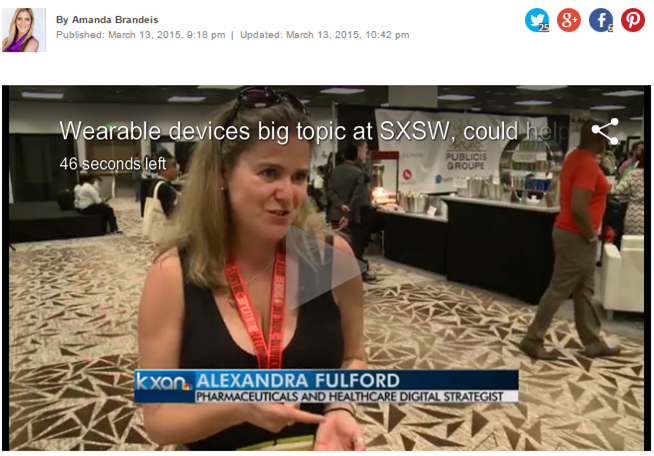 Jackie and I did however get asked to do an interview by a reporter for NBC around wearables and I am delighted to say that both of us made it onto US national TV! Cool! Sadly no other national news channels wanted to interview me from the main exhibition hall but there I saw yet more very cool stuff. There were the virtual reality glasses that respond to blinks that offer an amazing option for patients with Locked-in Syndrome and the robotic arms that move based on remote motions. I was naturally also blown away by the company that lets you design your own shoes – this is potentially some very dangerous technology! I also ended up doing some shopping here, starting with a WonderWoof bow which I will try to use on one of the Romanian shelter dogs to raise awareness of their plight. 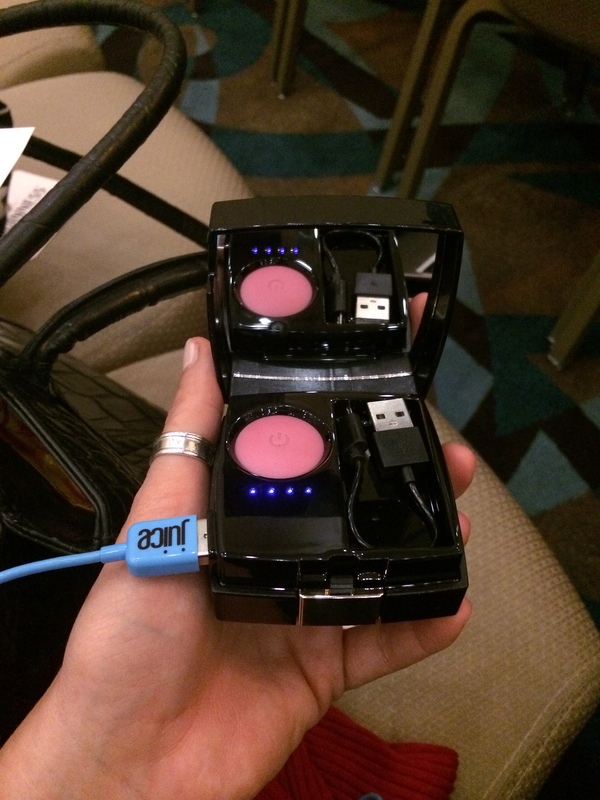 I also bought a mega cool phone charger that looks like a Channel compact and a Fuji Instax printer that lets you print mini polaroid photos from your phone – which was very useful at the SXSW closing party! And talking of parties this was undoubtedly another great part to SXSW. Each evening there were events on and it was a great way to meet new people and talk to people doing all sort of interesting things, like the German entrepreneur or my new Austin friend. I also got to attend a very entertaining comedy session with some famous US comedian (whose name currently escapes me) – not something I would normally have attended but it was hilarious. I also met people during the day over lunch and drinks, including a group of Swiss guys from Zurich, one of whom had an even worse return flight back that mine – he was flying Delta and having to change 3 times to get back to Zurich. 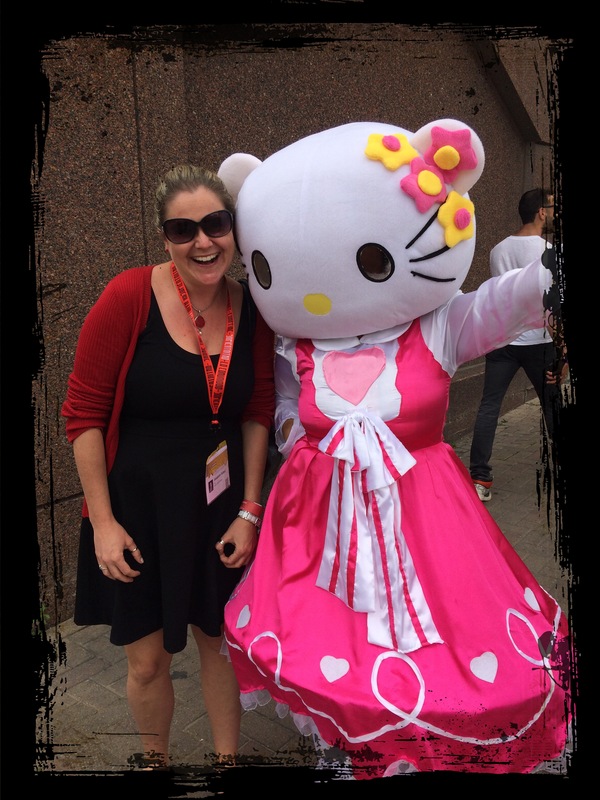 And then of course there were more squirrels and other characters – like Hello Kitty! The grand finale was of course the closing party. I stood in queue for over 2 hours to get into the event – by this time alone as most of the #hcsmeu gang had gone home. Naturally I met some great, fun people in the queue, including a South African chap who had recognised me from the Jackson Galaxy session and had joined me in the queue (calling me “cat lady” as he did so). Having queued so long meant we were amongst the first to get into the venue and got front row positions by the stage which was awesome – one of the main acts was Ludacris and I am sure I would never have got so close in a normal concert. The atmosphere did not disappoint and was electric. 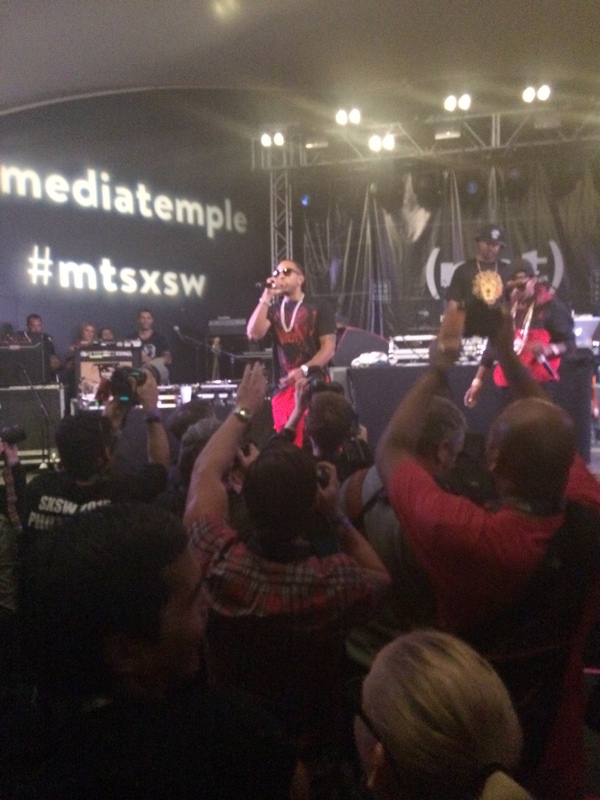 In fact the whole time at SXSW the atmosphere had had something electric and inspirational. There was so much innovation and creativity being displayed it was almost palpable in the air. The conversations I had and the things I saw were all incredibly energising and I felt more alive than I had for ages. There was no sign of my Hashimoto’s fatigue and there was no thought or worry – just pure enjoyment, inspirations and buzz. I did not want this trip to end. I did not want this experience to end. I dreaded going back to work where I knew there was little hope of getting to work much on anything as cutting edge and digitally creative as the things I had seen. I missed working everyday in this field. I missed spending everyday working in social media and technological innovation. 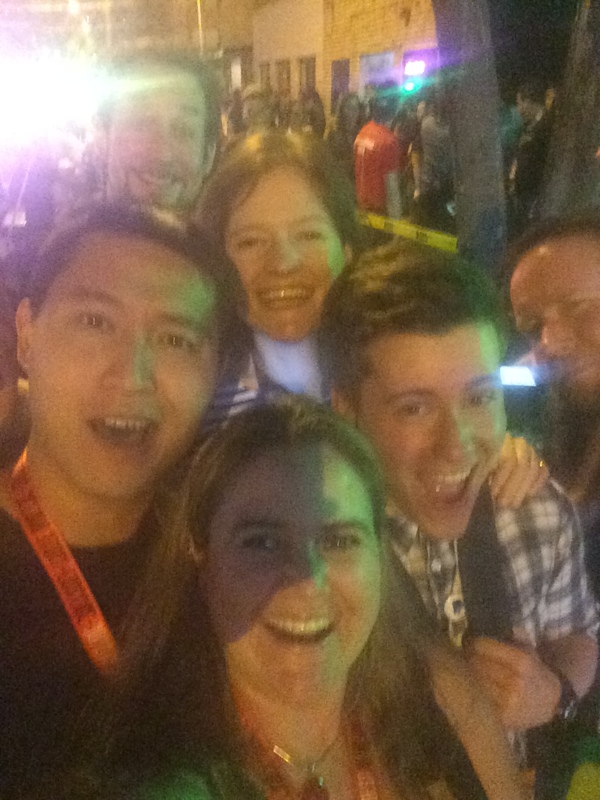 SXSW turned out to be the most amazing trip I have made in a long time. I had gotten my ROI back by day two but more importantly I had also reached an important decision. I had realised that my career at ZS has been taking me away from what I love and that my time there was over. I needed to get back to doing what I truly love and what I have spent years specialising in. It was time I returned to working in digital and social media in healthcare. This is where I have shown thought leadership and where I can make a real impact, both for myself but also on the lives of patients. This is my passion and this is where I get my energy from. And so when I returned home ZS and I agreed to split amicably, like a couple that realises that we have grown apart and want different things in life. I learnt so much at my time there but I longed to learn even more and in an area I love. 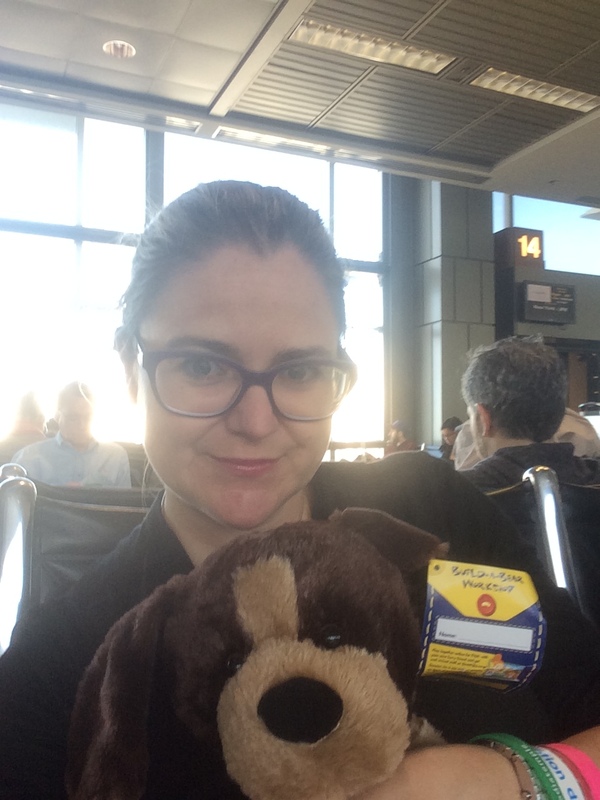 Thanks to SXSW I have now opened another, exciting chapter in my book – I do not know what it holds (I am open to offers and suggestions!) but I am very happy and very excited and I know that in this next chapter I will accomplish something great.